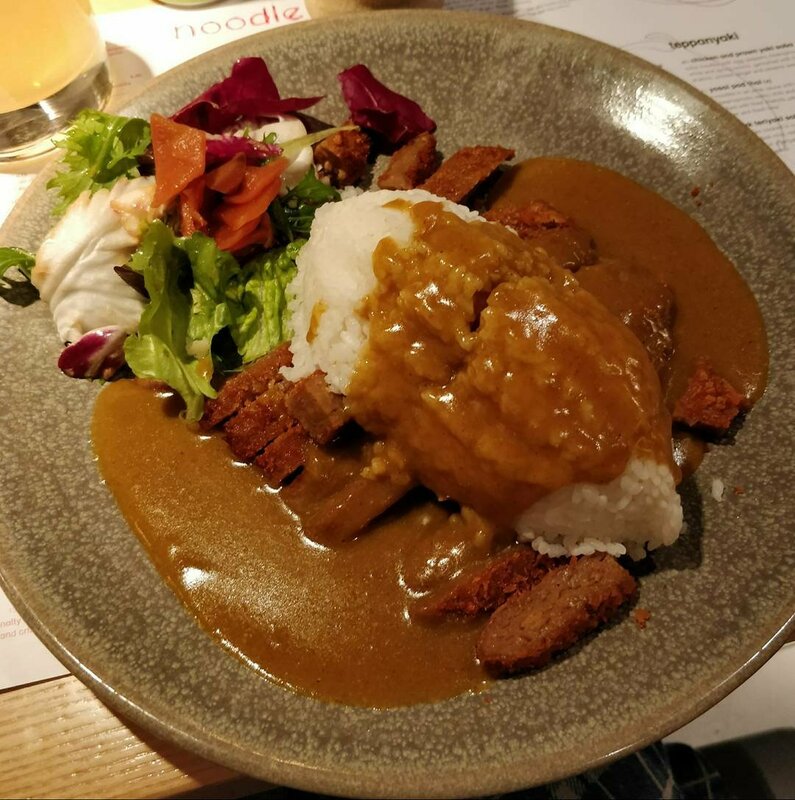 Tonight we were heading out to see comedian Sofie Hagen at the Soho Theatre, so as the theatre is directly opposite Wagamama’s noodle lab we knew where we were having dinner. The lab is where they test new dishes on the public to receive feedback and decide whether to roll them out to the rest of their branches. I had seen on other people’s feeds they had seitan katsu curry and panko breadcrumbed aubergine and mushroom buns which sounded fabulous. I took a look at the lab’s menu online to see what other treats there were. We both had the seitan katsu and shared the steamed buns and pumpkin onigiri. My Husband isn’t a big fan of Seitan although he is always willing to try. He ate all of this dish but he wouldn’t get it again. I really enjoyed it my only advice would be that it could do with more sauce. 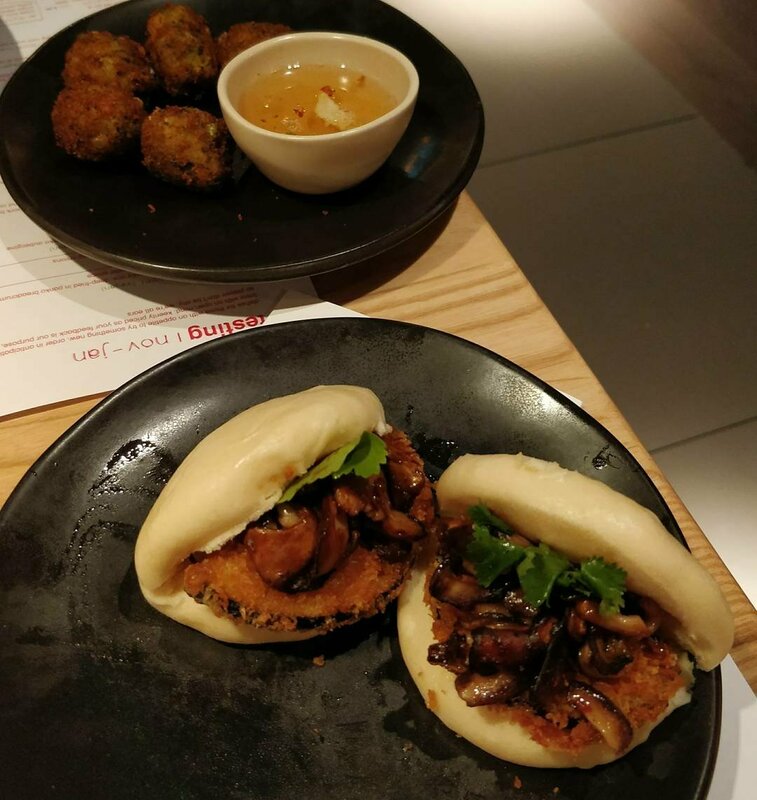 I’ve had the buns before which have a great texture, the non-vegan version comes with a wasabi mayo and I definitely think you miss a sauce as this is just omitted rather than replaced with a vegan alternative. I cannot fault the onigiri, these were gorgeous fried balls of deliciousness with a sweet dipping sauce. I could eat these all day! 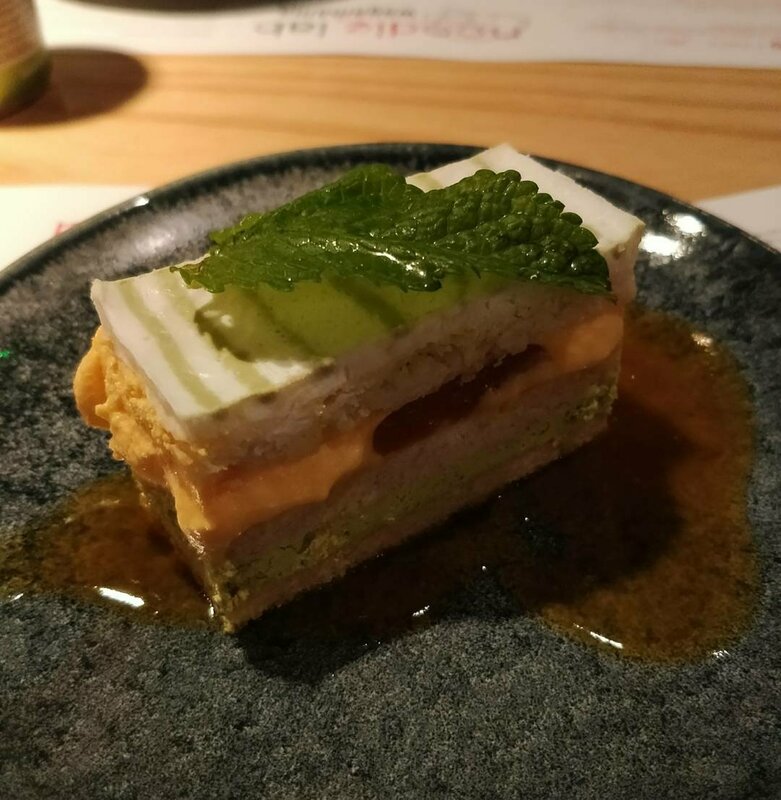 For dessert I had the mango and matcha millefeuille. This was a really delicate little cake and I loved the sticky mango sauce. I thought this needed a bit more matcha as I am a huge matcha fan and struggled to find it underneath the strong flavour of the mango. At the end of the meal we were given a tablet to answer a survey to give our feedback. I really like that Wagamama are incorporating their customers into the menu creation process and wish more companies would do similar. 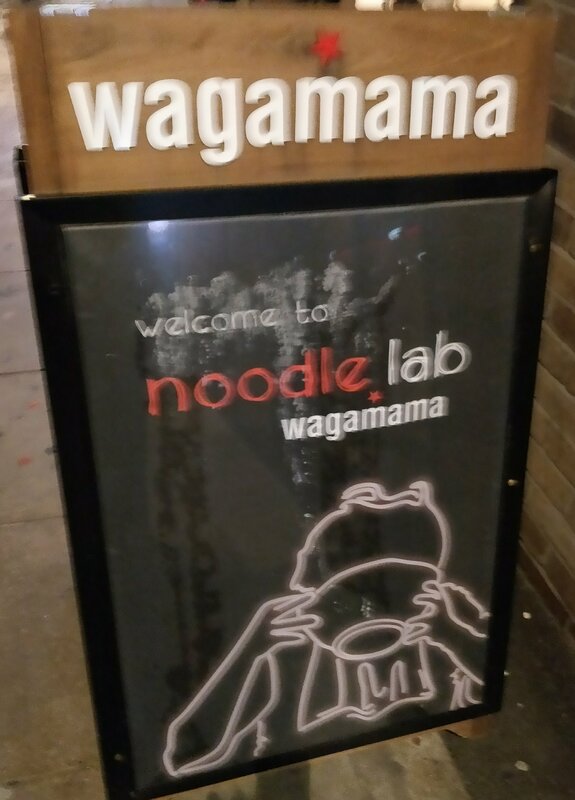 Have you been to the noodle lab? If not, what would you like to try from the menu above? Let me know in the comments below.